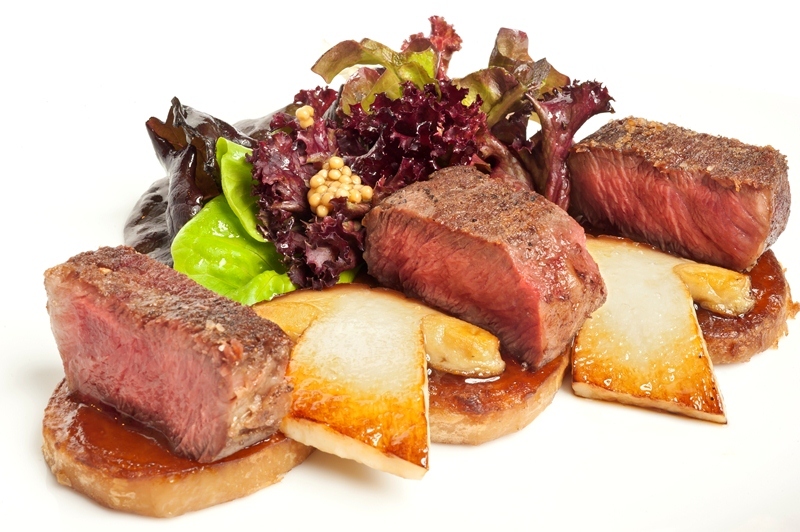 Sous vide is a cooking method which makes use of exact temperature control to ensure consistent, quality results. It is a French term which means under vacuum. That is why the process involves vacuum sealing food in a bag and cooking it to a specific temperature in a water bath. 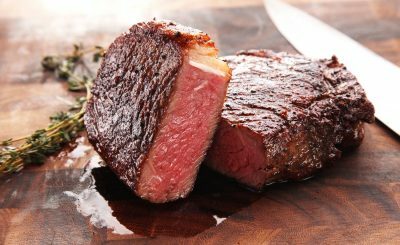 Food cooked sous vide retains its essential nutrients like carotenoids and flavonoids in veggies. Fish and meats have delicate fats that can be damaged at high temperatures when oxygen is present. Cooking them sous vide can keep them un-oxidized and more beneficial to health. Sous video delivers results that no other cooking methods can achieve. This is because of the temperature and heat control involved. With conventional cooking methods, food can be overcooked on the outside, with just a small part in the middle being cooked to the desired temperature. Food cooked using traditional methods tends to lose its flavor and overcooks quite easily, leading to a chewy and dry texture. Immersion circulator. This machine works by heating water and circulating it around the pot in order to maintain the specific temperature. Water oven. This is usually called a countertop water bath. It heats water; however, doesn’t circulate it. Foods are sealed to prevent evaporation and provide the most efficient energy transfer from the water to the food. 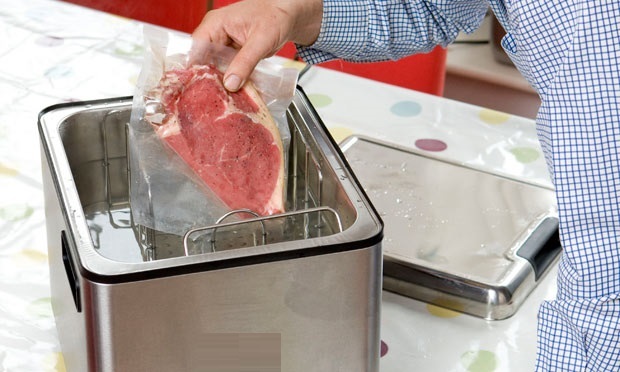 This can be achieved by putting the seasoned food in a plastic bag and removing the air through the use of a straw or a vacuum sealer. 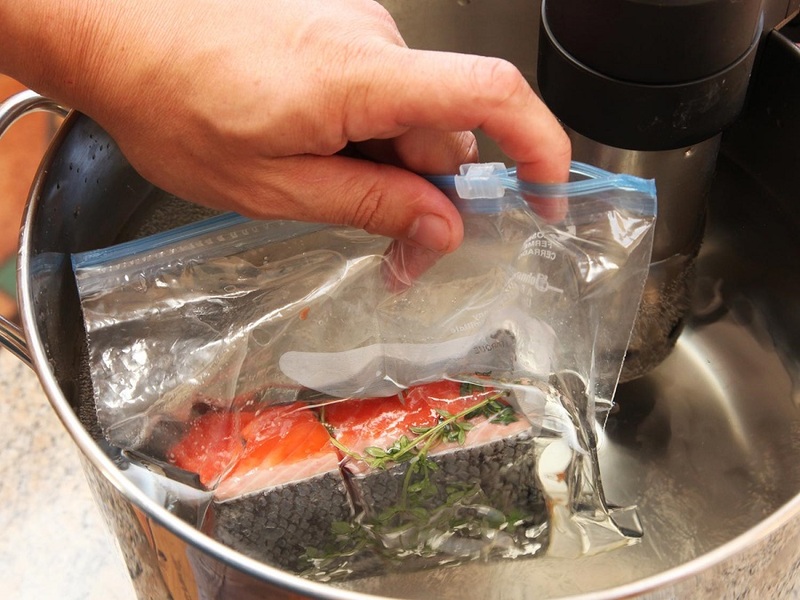 Other sous vide packing options include resealable jars or bags, reusable silicone bags and canning jars. This cooking method can actually be used in all types of food. 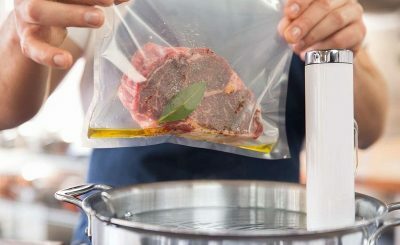 Any kind of meat is perfect for sous vide cooking. This cooking technique works particularly when cooking fish and seafood because of their being delicate. Nearly all types of vegetables can be cooked with this method too. In fact, you can use the method when making custards, some cakes and cheese. 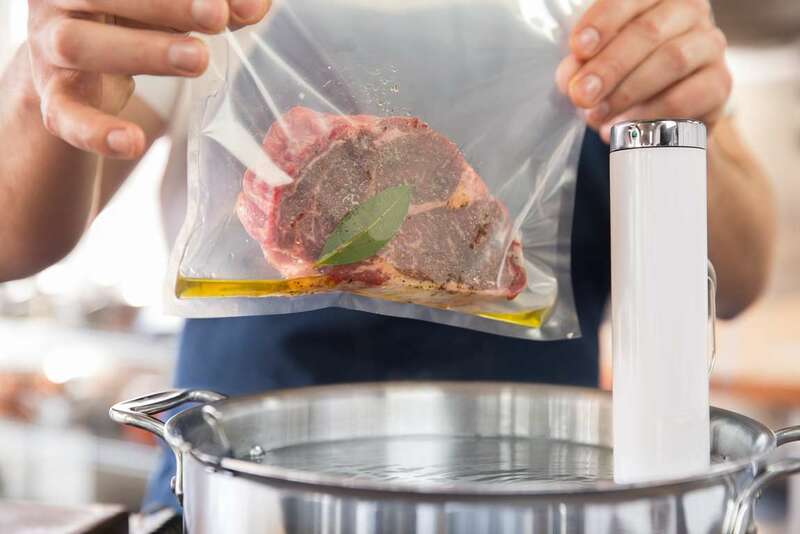 Sous vide cooking is ideal for anything that requires a precise temperature to cook properly.